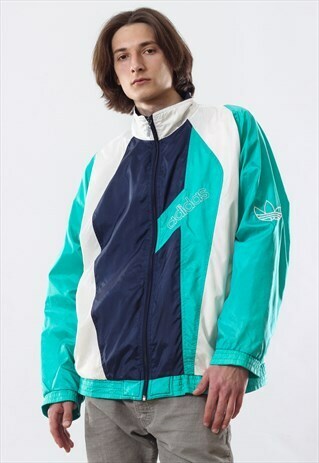 90's Vintage Mens ADIDAS ORIGINALS Windbreaker Big Logo Jacket. Size - D8 ( fits like XL - XXL ). Used, has sign of wear, but has not any defects. Total condition 8/10. Please check ALL PHOTOS , also i can make detailed photos. And see SIZE DETAILS. Please expect some natural wear/age of vintage items -- Orders are shipped every two days (MO, WE, FR) -- Check my OTHER ITEMS -- Like your OFFERS -- FOLLOW MY BOUTIQUE (have promocode for my followers) -- FOLLOW MY INSTAGRAM (preview of new drops) -- With love from UKRAINE.